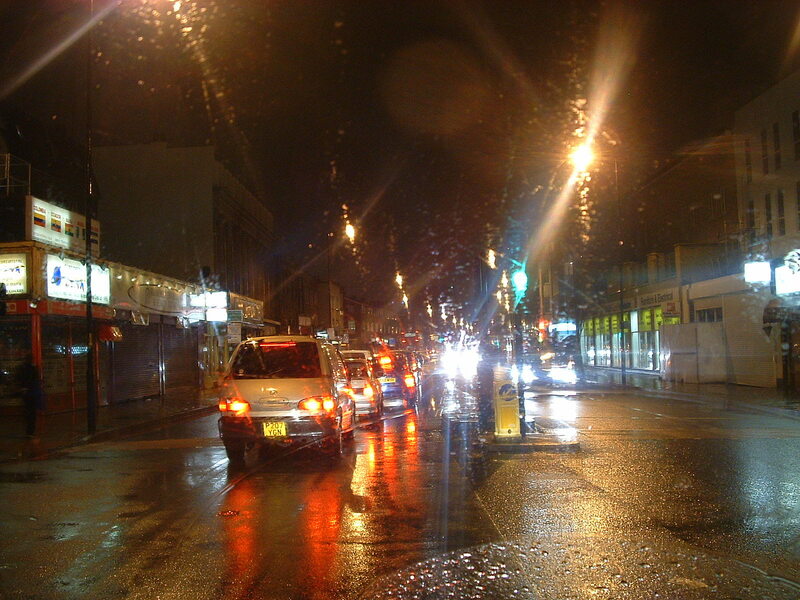 Through the car windscreen on another rain-lashed traffic-choked evening heading N. on the Old Kent Road, SE London. Possibly the first use of through-rain on windscreen-to subject within art. Update 2018; the concept now so ubiquitous in use as to be almost a sub-genre within photography. Film-maker Abbas Kiarostami used the idea the following year to make his Rain Series ( 2007 ); claims ” its an idea I’ve had for a long time”. This entry was posted in Uncategorized and tagged Dada, old kent road watercolour by Michael St.Mark. Bookmark the permalink. It’s the best way to see it, Lyn – from the inside of a cosy campervan. . .